So easy to book online before travelling to France. Great to learn about the different processes in making a fragrance. Julian was very patient and helpful. Would highly recommend if you love fragrances. I love the idea of creating own perfume. Paula is very nice and very helpful giving suggestions on my creation. Excellent experience! Our overall experience at Molinard was wonderful! Melanie was our lead and she was so warm and personable that it made the whole experience fun and worthwhile! We booked online the same day - super easy! I would definitely recommend. Loved the Personal one on one experience. Never felt rushed. Definitely a must when in the area. A great introduction into the world of perfume. We had a really enjoyable afternoon making perfume at Molinard. Our hostess, Paula was absolutely brilliant, very knowledgeable and so patient with us. Thank you Paula, it would not have been the same without you. My niece and I created our own perfume with Melanie and she was just wonderful. In fact the whole Molinard experience was! we booked it online above 12 hours in advance and had no idea what to expect. Melanie was so knowledgeable and helpful. We loved every minute of it. The only nice little touch would have been if we could have named our own perfume! We decided this was the highlight of our trip other than spending time together. Like this activity lots and will definitely recommend! Great experience, will probably do it again. Booked this activity to do together with my sister-in-law, as a present. But I thoroughly enjoyed it too. Booking was fairly easy. Everything was as expected, even better than expected. We liked the setting, and the activity instructor was very good and good fun too. Good value. You get to bring your own perfume home. I definitely recommend it. This was a 60th birthday present to myself and it was worth every centime. My already high expectations were exceeded. The range we were offered was beyond extensive and Mélaine our workshop leader guided us through to the process with patience and good humour. Her knowledge and expertise allowed us make a genuinely worthwhile product and my daughter and I were giddy with the whole experience. I would highly recommend this as a family, individual or even hen do activity. Afterwards we took the tour and the staff are incredibly helpful and friendly. Doing the workshop gives you a 20% discount on Molinard products. Thank you Mélanie and Molinard. I like the workshop very much. The booking was very straightaway. I will highly recommend this workshop to others. However I don’t think the children’s workshop is of as good as the adult one’s. It could have been a bit more fun with other children. I had a wonderful time learning about the history of Molinard and having the opportunity to make my own custom perfume. What a unique experience! 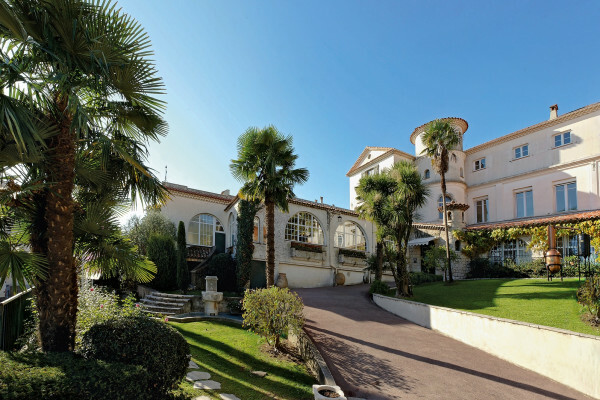 An easy day trip from Cannes. While you're in Cannes be sure to check out the historic part of town and the cathedral. I liked everything about it. The staff was knowledgeable and friendly and it was great fun to get the smallest glimpse into how the parfum-making process works. I would absolutely recommend this. You walk away with an entire bottle of parfum in the end that you created! Absolutely LOVED the whole experience. 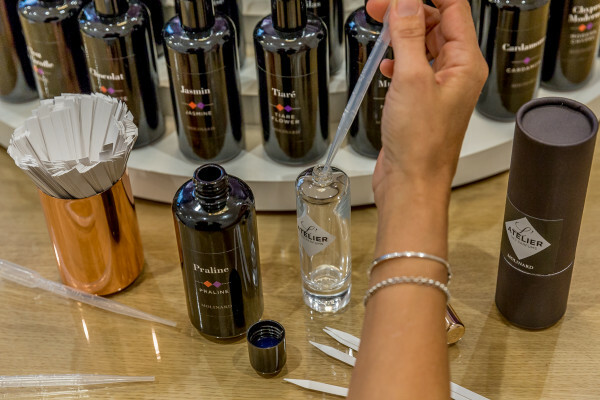 What girl doesn’t want to make her own perfume? Highly educational and entertaining, and felt like royalty. Also love that I can reorder my perfume anytime and the recipe will be kept on file for me. Would do it again! I went with my son. We loved the whole experience. The staff were lovely, helpful and we felt very welcome. Very friendly and professional, the host of workshop was fantastic ! Thank you for this experience that we shared with all our family. Really enjoyed my hour under the patient guardianship of Julien who very patiently guided me through the process and answered all of my many questions. I was the only person who had signed up for the course but it still went ahead anyway! It was great! What an experience - A MUST in the south of France! For me it is the second time to do the L'Atelier de Parfum Workshop and it's always a pleasure to come to MOLINARD. For the creation of 50ml eau the parfum and a 1h workshop with introduction in the world of parfum the price value of €69 is more than fair. Despite the workshop, the store in the MOLINARD condo is really a shopping-paradise. I love the products! Not only the perfumes are HEAVENLY, but I like the 24 beauty collection too - the hydration creme is just AMAZING! Would recommend a visit for shopping and OF COURSE a workshop to experience the production of a perfume. Everything is easily to book online. See you next year! I enjoyed it very much and I would highly recommend it to everyone.. It was a wonderful experience to make my own Parfum. I had no idea but while trying I found a great one for me. It was very interesting to get to know the details and differences of the essences. Therefore I would wish more time to get more information before making the own Parfum to be not so under stress while finding and preparing it. Maybe a little seminar of 15 minutes before the workshop would minimize the questions and time stress which occurred. I would recommend this experience to everyone who is interested in good Parfum! It took a while for us to actually get into the activity but once in, it was a wonderful experience. I would definitely recommend this as an experience during a visit to Grasse. I created a perfume that was individual to me and that I think I will continue to use and it was an experience that I will treasure. I knew nothing about perfume, but the staffs' explanation was good and simple, so I enjoyed the time there! I was not supposed to try all the scents, but I did by curiosity! After selecting the flavors, the staffs helped me if the mixture was good and also helped me with the blending. I really like my perfume and use it on my scarf once a week! I would recommend this experience to everybody who likes fragrances! Very friendly and well trained consultants! An interesting and very amusing hour! While on a three day trip to Nice, I made it my mission to visit Grasse (the perfume capital of the world). In my research about Grasse I found that I would be able to make my own perfume (Dream Come True.) I went forward with booking online with Molinard due to its open availability although it was the most expensive among the other perfume houses I researched. Once there it was a bit unorganized with where to exactly check in for the class but once I was seated at the class every thing went smoothly. I took my perfume making very seriously and the instructor while thorough was often pulled in other directions to lead other classes that were going on at the same time or translate. I had a good experience here however I would have appreciated a more personalized experience for the price I paid. Highly recommended. A really fun as well as interesting experience. I would do this again. Thank you forum this beautiful experience! I enjoied a lot! And so Happy to have my personal perfume!